Have You Suffered Roof Damage Due to the Recent Storms in Greenville and Need Roof Repair Services? The city of Greenville has been experiencing alarming weather conditions in recent months. Severe thunderstorms have caused power outages, flooding, uprooted trees, and roof damage in many areas. Typically, it is the roofing of any home or building that is one of the hardest hit during a storm. This will most likely necessitate proper roof repair services, whether for roof leaks or full blow-offs. Roof replacement, especially after the collapse of a section or the entire roofing system, becomes all the more necessary. To ensure reliable roof restoration services, you need to choose a trustworthy roofing contractor in Greenville, SC. If your household has been one of the casualties of recent Greenville storms, obtaining roof restoration service is a must. Fox Carolina reported on July 22, 2018 about stormy weather causing power outages all throughout the Upstate. A tree fell from the side of the highway into the middle of the road on Oak Hill at Midway. Structures such as homes sustained serious damage as heavy rain, wind, and even hail swept across certain areas. If left neglected, damaged roofing can result in further harm to any structure or building. Roof replacement or roof repair services should be a priority for affected Greenville, SC homeowners. A trustworthy roof restoration service provider can offer a selection of roof repair services. If possible, choose a roof restoration service company that provides quality services at reasonable rates. The ability of any professional roofer to provide roof repair services should be reflected by an excellent track record. Ask around to know which roof replacement companies are recommended by Greenville, SC residents. You may also visit the website of a roofing contractor to gauge their attentiveness and willingness to help. Some of them may be willing to provide a free quote on a proposed roofing project. Roof repair services or complete roof replacement require specialized skills and licenses. In most states, a roofing contractor may not be allowed to dispense services without proper licenses and certifications. To check whether you are dealing with a legitimate company, take time to look into their workmanship and abilities first. Roof restoration services can be risky, and a worker may be involved in an accident at any moment. The last thing you would want is to shoulder the liability of a possible accident on site. This is why a reliable roof repair services provider in Greenville, SC should carry proper insurance coverage. More than the assurance of protection, it also helps to ensure the upholding of quality services at all times. The reasons for roof repair or roof replacement may be varied. Some problems can start during improper installation. Roof shingles may also sustain wear and tear over a period of time. Other problems may also crop up, such as mildew growth or deck deterioration. Severe weather conditions such as hailstorms and thunderstorms can damage a roof system overnight. The importance of a sturdy and well-maintained roofing system is crucial in any home or structure. If you are one of the casualties of the recent storms in Greenville, you should not delay. It is crucial for you to obtain proper roof restoration service on time. Talk to Us at Lanier Roofing to Get the Roof Repair Services You Need! Don’t let storm and wind damage your roofing system in Greenville, SC. If your home has sustained serious roof damage during the recent thunderstorms in the city, get in touch with us. Lanier Roofing offers a wide range of roofing services and solutions. The roof of your home or building deserves the best attention and care. Call us at Lanier Roofing to repair or replace your roof today! 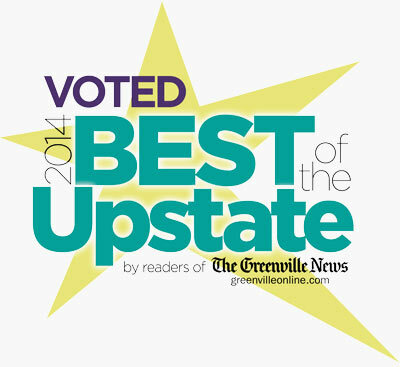 ← What Makes Some Roofing Companies Better Than Others in Greenville, SC?